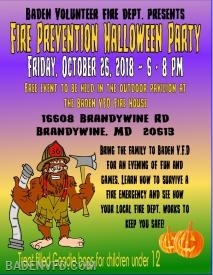 Bring your family for a night with fun and games while learning how to survive a fire emergency! Children age 12 and under receive free goodie bag! The Ladies Aux of Baden VFD would like to notify you that due to the possibility of bad weather on Friday, September 14th we will be cancelling our September Card Party. Our next one will be held on October 12. We are having a Recruitment Open House! 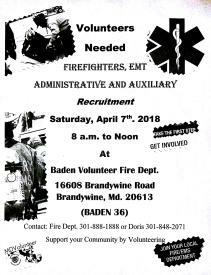 Stop by and see how you can help your community!! !